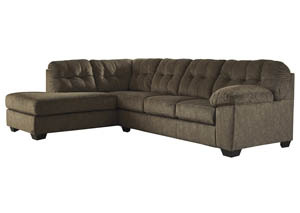 At Curly’s You CAN Afford the Lavish Living Room Furniture You Really Want! 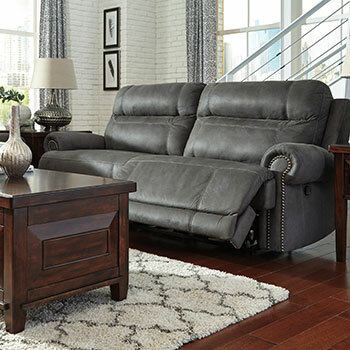 They say you only get one chance to really make an impression, and that’s very true of your home’s living room furniture, in your main area to entertain your guests with hors d’oeuvres, drinks, and tunes. 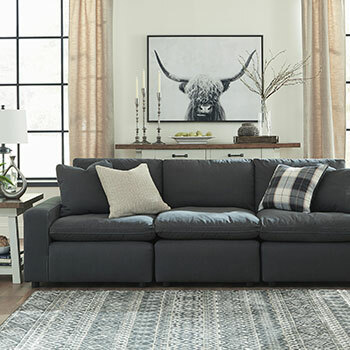 If you’ve always wanted SoHo or Berlin designer chic for your living room and thought you couldn’t afford it, Curly’s Furniture with its top brands making style accessible is here to prove you can! 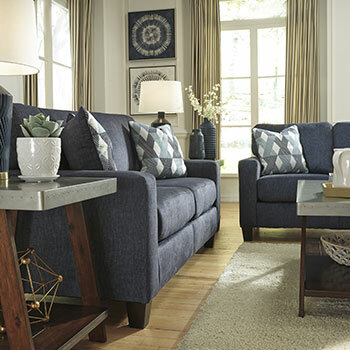 For looks spanning eras and tastes from Victorian grandeur to family-friendly transitional and more, we are north-central Illinois’ living room resource for always affordable prices. 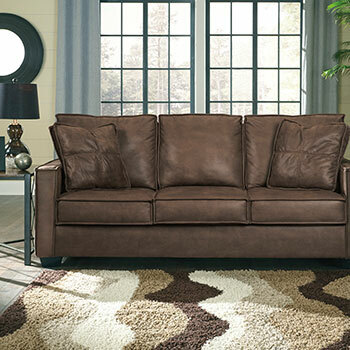 Today’s living room furniture is your household’s utility player. 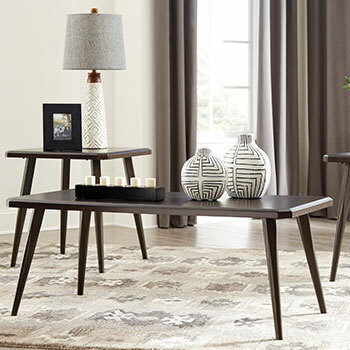 With open floor plans and a more casual and friendly lifestyle, your pieces and sets need to be multipurpose but sleek enough to fit your interior design vision. 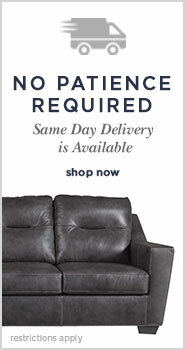 That’s where our sleeper sofas exceed expectations. 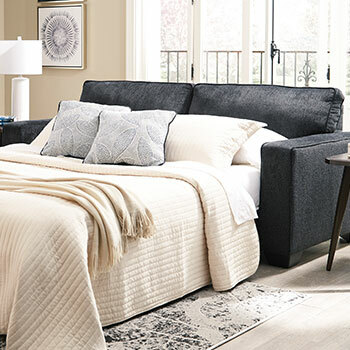 Never fear again if your guest room is full and somebody else needs accommodation overnight. 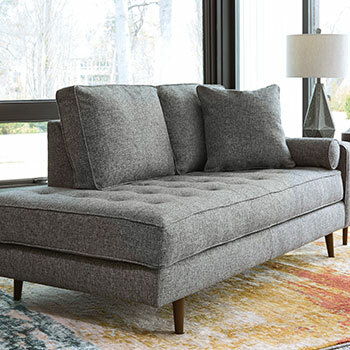 Our most popular sleeper is disguised as a cool chaise sofa by day. 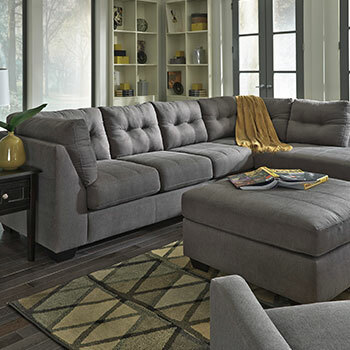 Ultra-resilient foam cushions are clothed in the perfect family-friendly upholstery, Nuvella performance fabric. 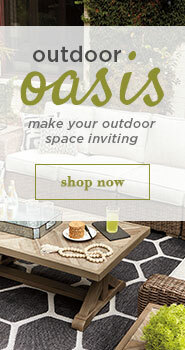 No more worries about spills! 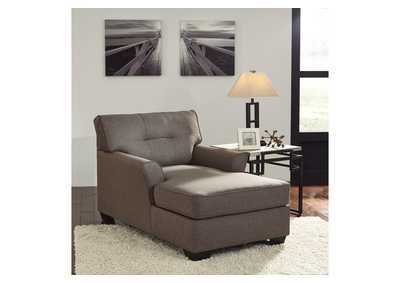 This comes in a cool dignified medium blue, neutral gray, or sand/cream. 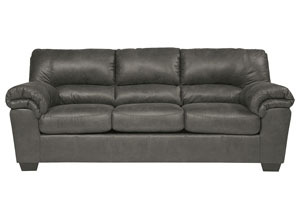 At night, open it up and voila, a most accommodating queen bed. 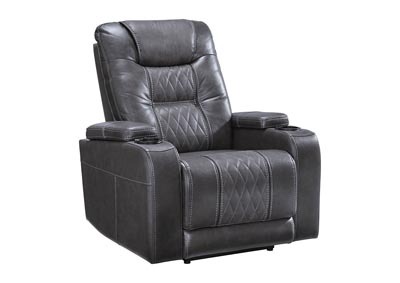 The perennially hot-selling living room recliner has had a few fantastic upgrades both for your health, supporting your back’s lumbar region, and relaxation. 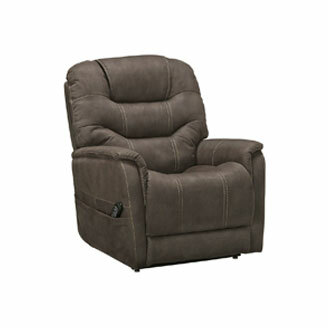 One of our customer’s-choice rocker recliners not only boasts fine PU upholstery in a matte brown finish, well-stuffed foam cushions, and ease of operation. 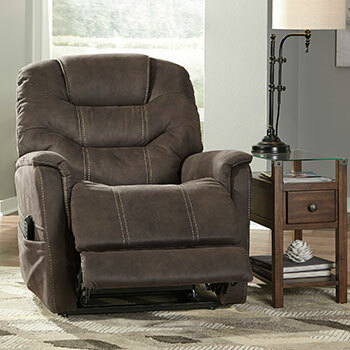 This baby packs both heat and a massage function to roll away the day’s cares. 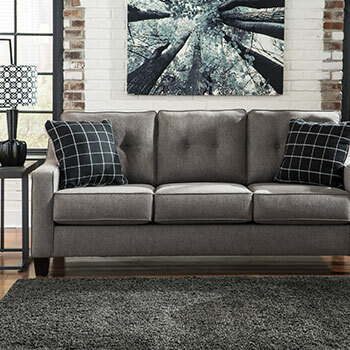 Never underestimate the value of a good living room ottoman or two, from fun textured poufs to oversize models. 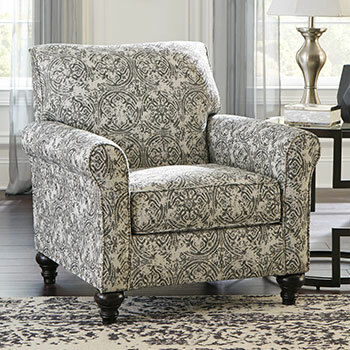 These trusty footrests can do so much more, from doubling as seats or table spaces to handy storage spots for remotes and more. 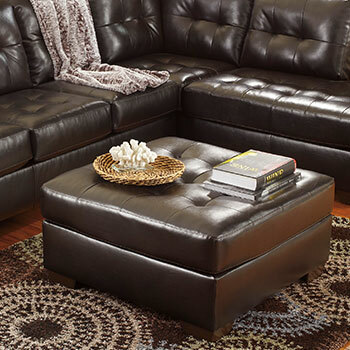 One of our personal favorites is a striking red oversized ottoman in DuraBlend leather-look upholstery. 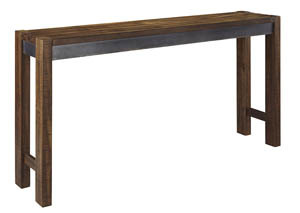 Nearly three feet square, it can easily hold a plate or tray when your feet aren’t on it. 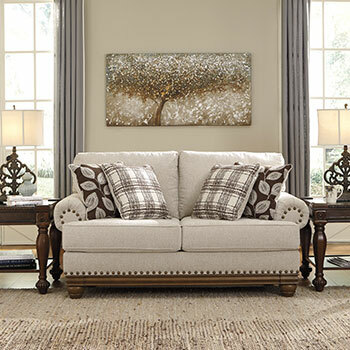 So when it’s time to replace your worn or outdated pieces with living room furniture that has designer “pop,” check out the links on this page and come to our Streator, IL store to save big on your exciting home makeover!